If you’re a landlord at the moment, you might be feeling completely overwhelmed with all the new regulations on fees and licensing along with tax changes being introduced. And now, with the uncertainty over Brexit, there is quite a lot of flux in the buy-to-let sector. Even though the changes don’t apply to Wales yet, it is believed it could come into play in September 2019. Most of the changes are meant to crack down on agents, but it also has an impact on you as a landlord. Currently, costs like tenant referencing and inventories get passed on to tenants. The landlord need to cover these costs. Landlords are already feeling the pain after the cuts to mortgage interest tax relief, which will continue to be phased in until April 2020. The 2019-20 tax year starts in April which means that landlords will only be able to claim 25% of their mortgage tax relief. In the 2018-19 tax year, it was still 50%! You might have heard of the government’s rogue landlord database that was launched in 2018. It didn’t have any names on it for quite a while, but the government has promised to fully utilise this platform this year. This means all rogue landlords’ names will be visible to tenants. Two people (over 10-years old) – minimum of 10.22 square metres. If caught out, you will have 18 months to fix the problem. If you do not, you can face a hefty fine. You are probably already aware of the interest cover ratio, which stipulates that you as a landlord need to prove that the rent you’ll receive will cover at least 140-145% of your mortgage payments. Some lenders, however, are cutting this down to 125%. Many lenders are offering cashback on buy-to-let mortgages based on the rise of base rates. If you do want to refinance your portfolio, you should contact a whole-of-market mortgage broker. All letting agents who offer a managed service, need to be licensed and have Client Money Protection Insurance. This is a client money protection scheme designed to protect client money held by property agents and professionals. The member’s clients are protected in the event that the member misappropriates the client money held in the course of running their business. Even though this was once the talk of the town, it still seems a long way off. If you weren’t around, the government looked to impose a minimum of three-year contracts with a six-month break clause for tenants. Even though it doesn’t seem likely to happen, this is still one to look out for in 2019. Last year in April MEES (minimum energy efficiency standards) came into play, stating that newly rented properties had to have an energy efficient rating of E or above. In 2020, however, this will also apply to existing tenancies. Take the time this year and spend time improving your property if possible. If you do not comply, you could be held liable for costs of up to £3,500. The current law states a landlord can give a section 21 notice of possession to tenants informing them of their intent to take back their property at the end of a fixed term or at the time of an agreed break clause. However, there are rumours that MP’s are complaining that this could result in homelessness. 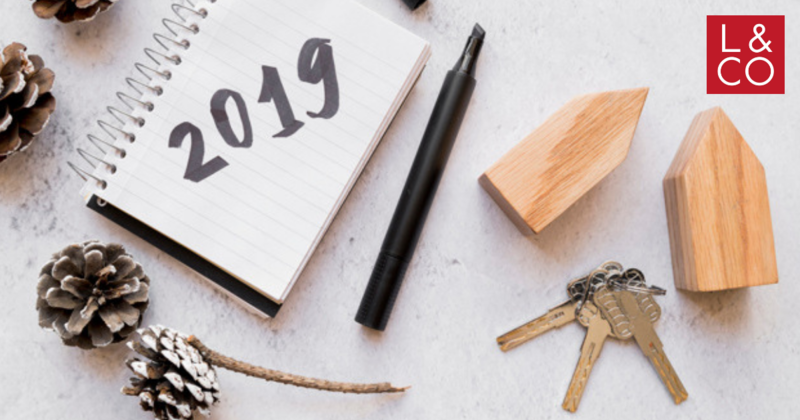 Even though it’s unlikely that the rules that apply to section 21 notices will change, it’s something to be on the lookout for in 2019. Even though there is a lot of uncertainty around Brexit at the moment, it hasn’t affected the property market in Newport at all. We’ve had our best first two months of the year so far! Established landlords especially needn’t worry. But keep an eye out for developments, however, be cautious to not get alarmed and make rash decisions regarding your property portfolio. Even though this is a mouthful to digest, it’s paramount that you’re aware of all of these issues. Whether you do business with us or not, if you’re unsure of any of the things mentioned, give us a call on 01633 265222.